After a few years of looking we finally came up Cleo. She sits 10ft L x 10ft W and 6.5ft H. We are going to use her for trade shows, parades, various types of outings and the like. She was a big hit at the Macomb Home & Garden Show and we will display her that the Novi Home & Garden show in April and the Oakland Home & Garden Show in May. Mosquito season is ramping up, so if you have not signed up yet for service this would be the best time to do so. New customers get $25.00 off and we always have some sort of deals at this time of the year. As time grows nearer, the deals become less. Researchers say dopamine levels in mosquitoes’ brains teaches them what to avoid and where to return. Mosquitoes don’t get a lot of love. No one ever talks about how cute they are. But in the lab, the little buggers can be the star of the show. Remember thinking they were out to get you? You weren’t wrong. Scientists at Virginia Tech concluded that even if the neighborhood mosquitoes believe you’re a walking honey hole of deliciousness, something negative — swatting, perhaps, or an electric charge — can persuade the little creatures to go elsewhere. In Mosquito Land, all this means the insects can be taught through aversive learning. The scientists taught Aedes aegypti mosquitoes to associate odors — including human ones — with unpleasant vibrations and shocks. Twenty-four hours after the shock was applied, the same mosquitoes were assessed in a Y-maze olfactometer, in which they had to fly upwind and choose between the once-preferred human body odor and a control odor. 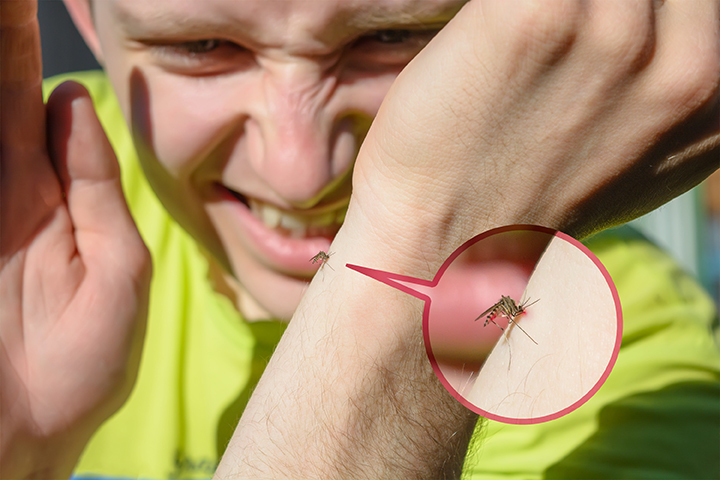 The mosquitoes avoided the human body odor, suggesting they had been successfully trained. According to Vinauger, mosquitoes are the deadliest member of the animal kingdom, causing more deaths per year than any other creature. 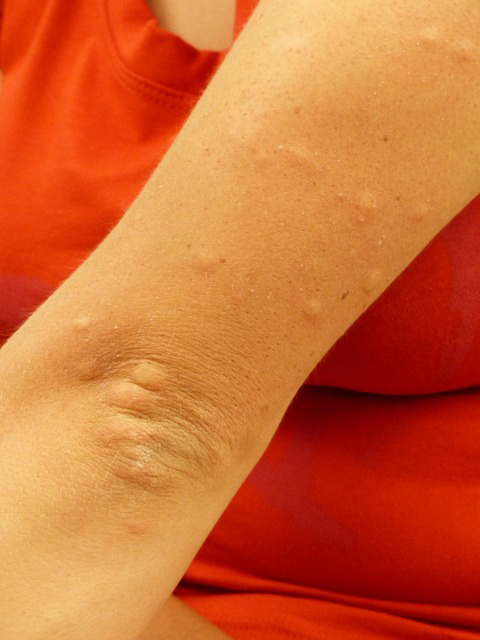 Mosquito bites are something everyone has dealt with at some point or another and hopes to never have to deal with again. No one likes those itchy, painful, annoying red bumps that seem to take forever to go away, but the good news is there are several things you can do to speed the healing process and take some of the itch away. So, the next time you find yourself plagued by irritating mosquito bites try one of these 10 home remedies. One of the best remedies for itchy skin whether it be a rash or bug bite is good old pink calamine lotion, according to WebMD. They recommend washing the area thoroughly, applying the lotion and then using an ice pack to reduce the itching and swelling. Of course, not everyone has calamine lotion at their house, so another remedy that you most likely have on hand is honey. Healthline reports that honey is antibacterial and anti-inflammatory which means it can help the bite heal and reduce the swelling. Just be wary of using it outside as the sweet smell could actually attract more biting insects. The Global Healing Center recommends apple cider vinegar as another solution to the itch and pain of a mosquito bite. You can either apply it directly to the bite or pour 2 1/2 cups of the vinegar into a bath and soak in it if you have multiple areas that have become bitten and irritated. Another couple antiseptics are witch hazel and rubbing alcohol. These do sting a little bit but according to Everyday Health that is actually good as the new sensation will distract you from the itch. And it is good to know it is helping to heal the bite while distracting you. These have become all the rage lately, but some essential oils can actually help cure mosquito bites. Mother Nature Network says that an antiseptic oil like tea tree oil can help with the itching while lavender can minimize swelling and ease the discomfort that comes with the bites. Another solution from the Global Healing Center is aloe vera because it gives short term relief from the itching and swelling as well as aids in long term healing. Using either a fresh cutting from a plant or store-bought aloe juice will work. Oatmeal is another recommendation from Healthline because it is a known anti-irritant. All you need to do is make a paste with equal amounts water and oatmeal and apply that to the mosquito bite for about 10 minutes before wiping off. An additional solution is to add oatmeal to a warm bath and soak in it for about 20 minutes. Mother Nature Network reports that baking soda is a proven way to calm the itching and irritation. As with oatmeal all you need to do is make a paste of baking soda and water and leave it on the bite for a little while before washing it off. The alkaline properties of the baking soda actually neutralize the skin’s PH balance which will relieve some of the itchiness. Another remedy you might have in your pantry is tea. Both green tea according to Everyday Health and chamomile tea according to Healthline are helpful to reduce inflammation and irritation. After steeping the tea bag in cold water for 30 minutes apply it directly to the bite. The cold will help soothe the area and the tea will help heal it. Perhaps an odd therapy, but one that works according to the Global Healing Center is to apply a raw onion directly to the mosquito bite. Leaving it on the affected area for a few minutes is supposed to help with the stinging and itching. Of course, the ultimate solution to mosquito bites is to not get them in the first place! Call Mosquito One today to schedule a time for us to come spray your home or business and take care of the problem before it begins. What Makes Mosquito One Stand Out in The Mosquito Control Business? No one likes mosquitoes, so if you have a problem with them at your home or office, we know you want to get rid of them as quickly and simply as possible. But we also know that no one likes wasting their money or time either, so we want to make sure you get the best results possible. That is why at Mosquito One we strive to be the top company in the business. Don’t waste your time or cash on other companies that promise to get rid of your mosquitoes but don’t deliver, instead hire the best in mosquito control and rest assured that we will take care of you and your home or place of work. 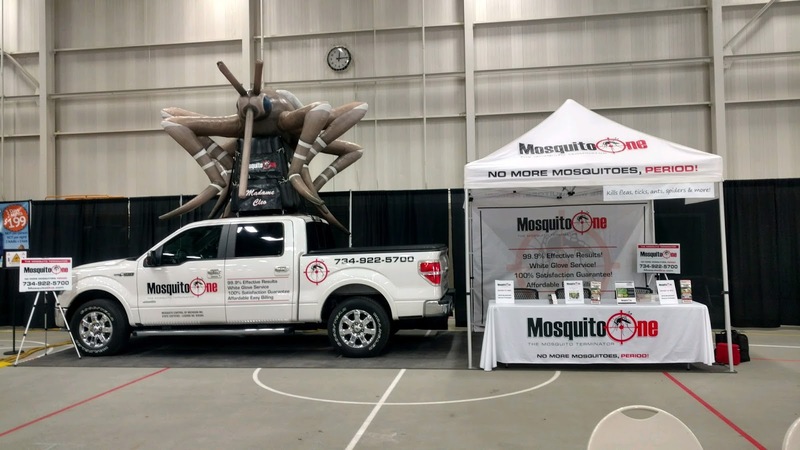 Check out these five reasons we stand out in the mosquito control business. We have a 100% satisfaction guarantee on all our services. If you are not completely happy with the treatment we will come back and do it again for free. And if you are still not satisfied, we will refund all of your money, so you never have to worry about getting less than you paid for. We will do whatever it takes to make sure you are confident in our mosquito control service. We have something else that sets us apart from the competition, our proprietary Enblock, which is a product that the owner developed himself. It is a premium additive that effectively increases product performance by protecting the product from the rain, wind and sun. Once dry, Enblock can withstand one inch of rain for seven days straight, and also protects from the sun and wind breaking the product down. It is completely safe for people, pets and plants and only takes about an hour to dry. Because of our proprietary products and the great care we take in applying them, we have 99.9% effective results. Our customers come back to us year after year for all their mosquito control needs and continually give us positive reviews about our service and products. Another reason Mosquito One is the best in the business is because of the deals and discounts we offer our customers such as our subdivision pricing. This is a program that allows for reduced pricing for applications if a client gets a few of their neighbors to have their yards sprayed as well. For instance, if you get 5-10 homes, each up to an acre in size, to sign up for 6 applications every 21 days from Memorial Day through Labor Day the cost would be $285. However, if you get 11-20 homes in your neighborhood to sign up the price is only $260 and keeps going lower the more homes you get. It is another great reason to spread the word about Mosquito One to all your neighbors. We are also confident that we can handle any size job you hire us for. We take care of our residential customers, ensuring that you are able to spend as much time outside as you like without worrying about mosquitoes ruining your fun. We concentrate on decks, pools and the perimeter of your home to ensure that the places you hang out the most are pest free. 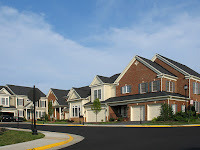 We also service commercial properties so that you and your employees can enjoy the fresh air without the fear of getting bitten. Give your workers the gift of a mosquito-free work environment and they will thank you. Our municipal services are for parks, pools, golf courses, fairgrounds, sports fields, campgrounds and more. If your town or city has an area with mosquito problems, chances are it is not being used to its full potential. Mosquito One can make sure these public areas as well as any special outdoor events remain free of these annoying pests and fun for the whole community. Mosquitoes are without a doubt one of the most annoying creatures on the earth. They can take a fun summer day and turn it into a disaster in no time at all. And they don’t just ruin the day, but can continue annoying you for much longer as their bites can remain itchy and painful for days or even weeks after. However, it seems that some people have all the luck when it comes to avoiding these pests and some people seem to attract them. So, what makes certain individuals more susceptible to mosquito bites than others? In order to understand why some people have more problems with mosquito bites than others, let’s first look at why mosquitoes bite anyone. According to Dr. Mercola it is actually only the female mosquitoes that bite humans, males feed off of flower nectar and leave people alone. The female mosquito needs the protein in blood in order to produce eggs and will therefore get it from you or another warm-blooded source. They do have a preference of where their meal comes from though, which is why some are more susceptible than others to their annoying pokes. Why they bite some people and not others? 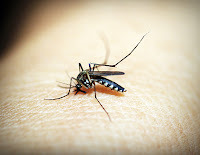 Mosquitos can smell a person from 50 meters away according to WebMD and what they smell on you could signal them to come in for a bite. The research tells us that they are most attracted to high concentrations of cholesterol and uric acid on the skin, so those who produce more of these substances are more likely to get bitten. They are also attracted to carbon dioxide so those who give off more, namely larger people like adults as opposed to children and also pregnant women, are more susceptible. Dr. Mercola says they are drawn to lactic acid as well, which is produced when you sweat, so those who sweat a lot or are moving around excessively, such as someone playing sports, will have a greater chance of attracting mosquitoes. 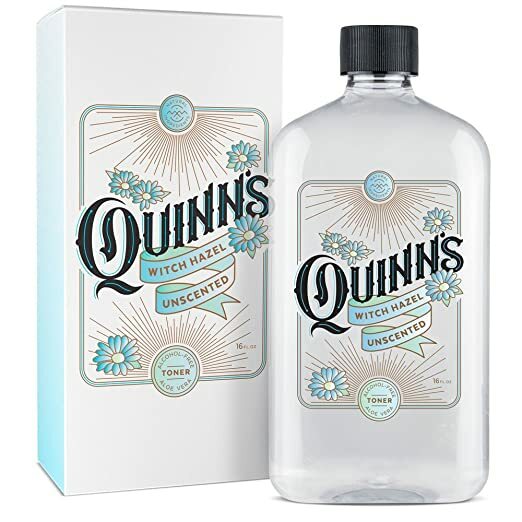 However, those who produce 1-methylpiperazine, a naturally occurring chemical compound, were rendered nearly invisible to the mosquitoes because this compound blocks their sense of smell. So basically, a great deal of it is a matter of genetics and which substances you produce and whether these substances are attractive to the mosquitoes or not. 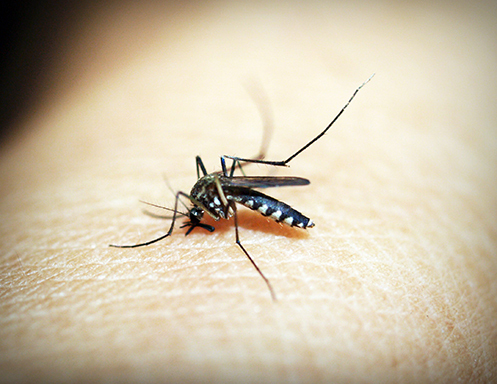 While a large portion of whether you are susceptible to mosquito bites or not is a genetic lottery, there are some things you can do to lessen your chance of being bitten. 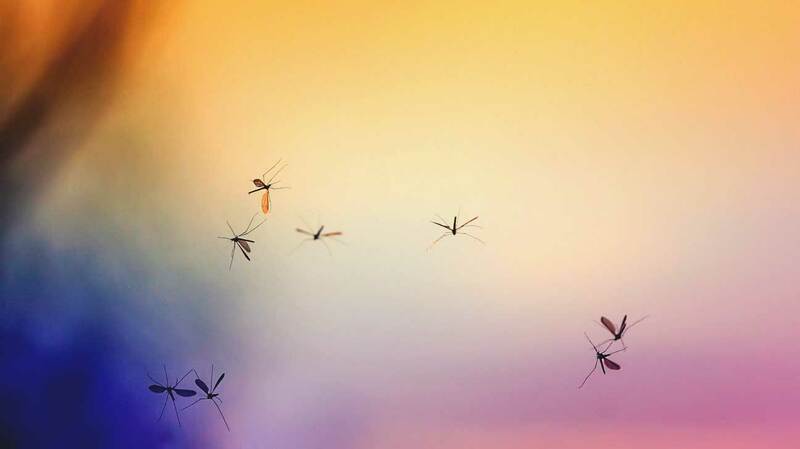 As we have seen, they are especially drawn to movement and heat as well as carbon dioxide from your breath and lactic acid from your sweat so one of the best ways to prevent a mosquito attract is to remain stationary and not exert yourself. While you are lounging around, however, Dr. Mercola recommends abstaining from a beer or wine cooler as drinking alcohol also attracts mosquitoes although researchers are not sure why. You can also use chemical mosquito repellents to ward off these pests. WebMD recommends using a spray with at least 23.8% DEET as this will protect you for up to five hours. Some people have concerns about applying DEET to their skin, but they say it is relatively safe and there have only been a few hospitalizations related to its use and most of those were due to improper or over use. You can also hire a reputable company such as Mosquito One to spray your outdoor space and get it mosquito-free for summer. We offer our services for both residential and commercial properties and have a 100% satisfaction guarantee. That is a great question and we totally get it. It all adds up... In my day to day activities, I always weigh out what is more important where I should spend the money when I am on a budget. For me, it is more important to know that we're not being eaten up by mosquitoes than for example having flower pots in the backyard. We also cut back on fertilizing the lawn for two years, that right there is a mosquito treatment for a year. The other advantage in using Mosquito One is that you can sign up in the fall for the upcoming season and receive a discount (keep that in mind for the 2018 season). That way your mosquito treatment spendings won't come in the spring when all the other garden costs occur. If you decide to get your mosquito treatment with us, we will take care of you and you will enjoy your backyard like never before. The family dinner outdoors will be mosquito free and the kids will have a blast splashing in the pool without coming inside covered in red bumps and complaining about how itchy their skin feels. And most importantly, you will have the peace of mind that your family and friends won't catch any of the diseases that mosquitoes can carry. With this note, we hope we have helped you look at some options to make room in your budget for mosquito treatment.